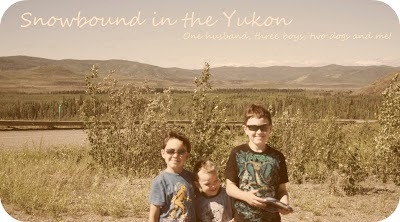 Snowbound in the Yukon: Where are all the bloggers? I don't know if you know about Bloglines but I use it. It's a site where you keep track of the blogs you read. Well i went today and my huge list of bloggers was empty, I mean no one was highlighted that meant no one had written anything. Okay, there was one this morning, she wrote this lovely piece. Not no one else. I'm thinking that it must be broken or something because there is alway, always something from Celebrity baby Blog or People, the paparrazzi are always out and about so it must be broken because no way can you tell me that the celebrities are taking a break today! no way!